Never feel cold when out and about with a wheelchair blanket for all wheelchairs. 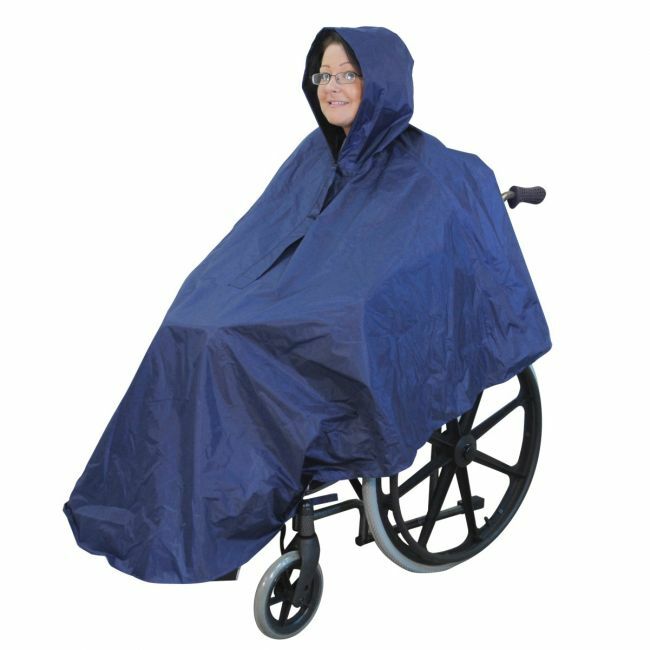 The wheelchair poncho provides protection for you and your wheelchair during unexpected showers. It has a neckline zip so can be put on or taken off with ease, plus a drawstring hood for a snug fit. Designed for wheelchair users who require a high degree of independence, the wheelchair poncho is made from 100% waterproof fabric and features rear slots for pushing handles, with extra length at the front for greater coverage and protection for your legs.